I hardly knew what the Holocaust was the first time I heard a joke about it. The friend who laughed about Jewish people being shoved into ovens had to explain to me what happened and why it was funny. I didn’t laugh. Joking about tragic events isn’t funny. It is awful to laugh at. They shouldn’t be socially acceptable. Show some respect to the survivors and the ones that didn’t make it. It isn’t funny. Don’t you know the number of how many people that died? That is, at least, what I’ve thought for the longest time, especially when I hear 9/11 or Holocaust jokes. I didn’t see why comedians thought it was acceptable material for their skits. 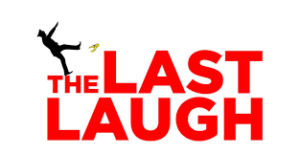 However, the screening of Ferne Pearlstein’s documentary, The Last Laugh, last week changed the way I looked at it all. Overall, the 2017 film gets one to think about who is allowed to joke about the Holocaust and if even they are in the first place. While it is mainly focusing on the Holocaust, it touched on other sensitive topics like the AIDS crisis and 9/11. For those in the entertainment industry, they all have varying degrees of which jokes are and aren’t allowed. “The Holocaust is not funny. But survival––there can be humor in that,” says actor Rob Reiner. “It’s important to talk about things that are taboo, otherwise they just stay in this dark place and they become dangerous,” Sarah Silvermann said. As for survivors of the concentration camps, the same goes. Honestly, after years of not knowing how to react to these jokes because if you laugh, you can look like an awful person. If you don’t laugh, you just feel a bit awkward. After seeing this documentary, I really do have to go after what Pearlstein said– it all matters about the manner and intent. Although, it will never be good for me to joke about somethings like this. That is why I would align myself with Brooks–– to be able to laugh and joke about Nazism but not the Holocaust, the deaths specifically.